Terriers 663 ex-Preston and 643 ex Gipsyhill on Fratton shed in the early twentieth Century, when they were frequent visitors to the Hayling island branch. 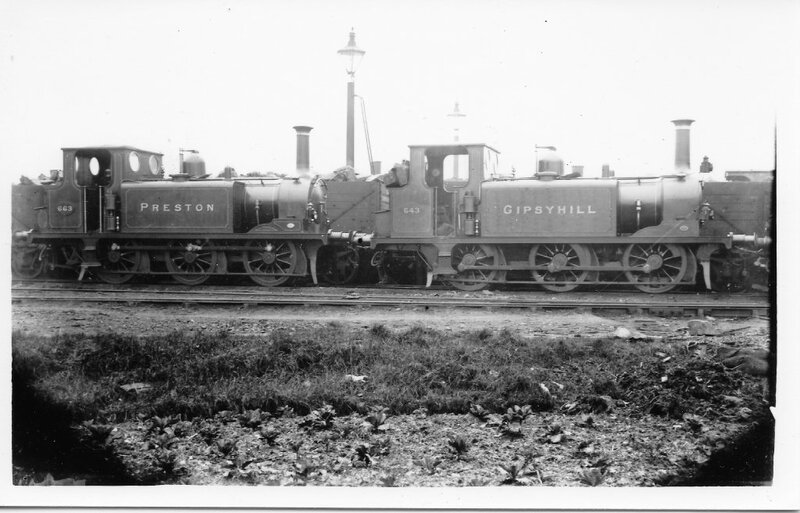 Preston was renumbered 663 in June 1901 and Gipsyhill to 643 in April 1902 and both had their brass number plates removed and substituted with wooden ones, with the numbers painted in gold. At some point after 1905 they were repainted in the Marsh umber livery and the lettering “LB&SCR” replaced their names. Occasionally, they were used on the Southsea branch to stand in for failed steam railcars which normally worked the short branch line between Fratton and Southsea. Terrier No 663 “Preston” at East Southsea station in the early 1900s. 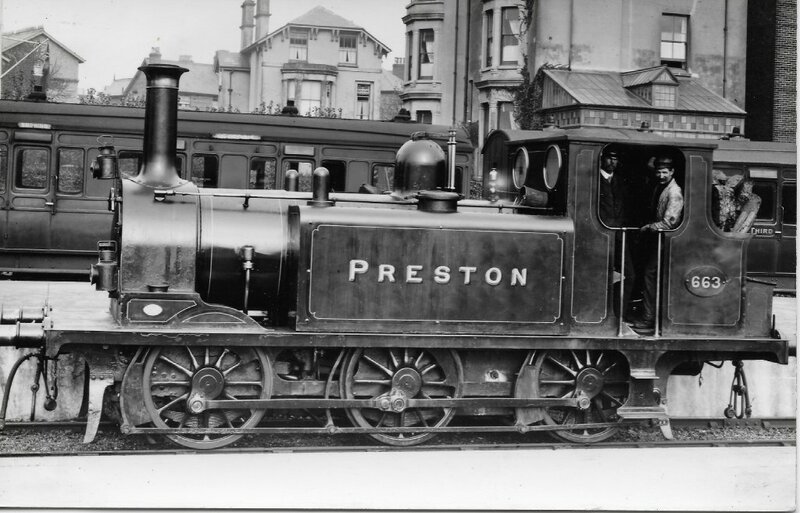 Note the wooden numberplate with painted numbers, which replaced the original brass numberplate “63”, when “Preston” was renumbered in 1901. Note how the bunker has been tightly packed with coal.